Kucharski Financial Services LLC assist Trustees with 401k and profit sharing plan review, installation and employee education all while acting as a fiduciary. A 401(k) plan is one of the most important employee benefits a company can offer. A good plan should be effective and flexible for participants, in order to help them meet their retirement savings objectives, yet simple and efficient for administrators and plan trustees. 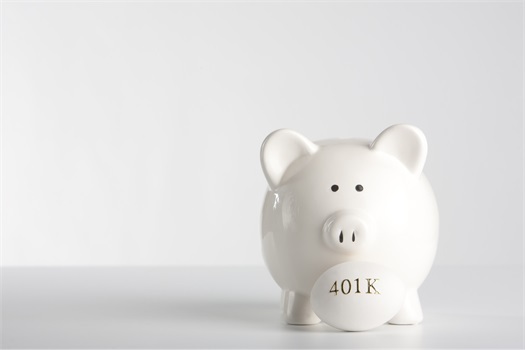 A successful 401(k) plan should not only encourage participation, but should also inspire participants to defer enough of their salary to prepare for a comfortable retirement, and should provide enough options to allow them to ensure their assets are appropriately diversified for their time horizons and retirement goals. Meet with the Company and/or their Plan Sponsor delegate to assist them in developing an investment policy statement ("IPS"). Alternatively, if the Plan has an existing investment policy statement, we will review the existing IPS and assist the Company, Plan Sponsor and/or their Plan Sponsor delegate to determine whether the Plan is performing consistent with the IPS and/or whether the IPS needs to be revised, based on an analysis of the Plan's liquidity requirements, performance goals and risk tolerance levels of the Plan, using information provided by the Company. Coordinate with your TPA an annual review of the Plan design and advise the Plan Sponsor whether the Plan is operating in accordance with Plan documents and applicable provisions of ERISA; and review Plan Sponsor's compliance with Plan Sponsor responsibilities, including compliance with requirements for self-directed plans (if applicable) under ERISA Section 404(c). Conduct an annual review of fees and costs charged to Plan by other service providers to assist Plan Sponsor to determine reasonableness of fees and costs paid by Plan. Act as liaison for the Plan and the Plan Sponsor on an as needed basis when dealing with the trustee, custodian, plan actuary and other third-party service providers to Plan. Conduct an initial and a periodic annual review of Plan investments and investment options including without limitation, investment performance, fund expenses and style drift for investments offered by the Plan to participants; provide suggestions to the Plan Sponsor from time to time as deemed warranted by FSC for alternative investment options for the Plan to make available to its participants (which decision shall remain the sole and exclusive decision of the Plan Sponsor and/or their Plan Sponsor delegate). Coordinate and/or conduct investment education and enrollment meetings for Plan participants as determined by the Company. If the Company desires me to conduct the investment education and enrollment meetings, the Company shall notify me in writing. When we conduct such investment education and enrollment meetings, we will maintain compliance with the requirements of Department of Labor Interpretive Bulletin 96-1 and 1104(a) of ERISA, FSC and myself shall have the protections afforded by Section 404(c) of ERISA. We may, upon written request of the Company, perform the following additional special services. The Company and I would agree in advance upon the scope of services to be performed and the fees for such additional special services in writing prior to commencement of services by our firm. Review, design and implementation for nonqualified plans/deferred compensation. Assist with conversion to alternate vendors, including preparation of Request for Proposal (RFP) from prospective new vendors and review and comparison of responses to RFP. Perform merger and acquisition due diligence review of retirement plan documents and investments for possible merger or termination of duplicate plans. Assist with corrective actions as necessary to comply with applicable laws and regulations. Interact with outside advisors or tax, legal and accounting counsel as necessary. Your employees deserve a 401(k) plan that may help them improve their retirement readiness. Our firm, with the support of our broker dealer firm FSC Securities Corporation, offers the ongoing service and support you may need to make the most appropriate decisions on an ongoing basis, as you may not have the time or expertise to manage this process alone.